If you can't take it, you probably don't belong in this section. What's your favorite verse or stanza or both from his poem. I will bold my fav inside the poem. Yours will cut me down. Here's my best poem so far. Tell me what you think. I will have more coming. . . Although it'll be awhile. . . .
How about a tumblr thread? Mine is nyarlathotwink. Expect a lot of Lovecraft and Lord of the Rings and inane text posts and me being gay as hell. Any suggestions on web games? that made me smile... nice. If you use the url button in amongst the font options it should allow you to place the entire urls in your posts. I really like it, definitely the way the 13th and 14th sentences were cut off right in the middle and the abrupt ending right after. Complex but followable, lots of imagery, with little being said yet so much going on. Nicely done. Behold a profound mourn indeed! I don't so much rhyme or meter but on little axles concepts teeter. So what I write may be gibberish. Before considering, please read some, like my reasoning. 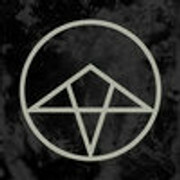 give my site a Goth appeal! The short story is the site has just been moved and now is the time to give it a face lift. blooming from an unknown rift. Dark skies calls you, denizen of illusions. Art of Adornment Video "Gothic Glamour"
The purpose in this life. Disclaimer: This is a work of fiction. I don't know Voltaire from Adam. There is another of my poems. This time, it is based on the experience I have in real life. What is this blood running from my wrist? Wow, it looks really good! I'd like the page but I don't use Facebook anymore. Ok, so I've seen a lot of people with links to their dA accounts. Nice poem. You are pretty good with words. :D Does it have a title? If this is only an attempt, I cannot wait to read what you'll create when you find your own rhythm and zones within the dark poetry genre. I would love some constructive criticism! I did a photoshoot yesterday and would like your opinions on the shot.